Sleek and sophisticated, our Edson side table makes a real statement in in your space. Its industrial concrete and metal finish brings a directional urban edge to your garden or living space. Its modern silhouette and clean lines will provide a striking contrast to your plants and flowers, putting an urban spin on your outdoor style. It neatly tucks away underneath the matching sofa for when you need to maximise your space. Garden furniture doesn't have to be drab. 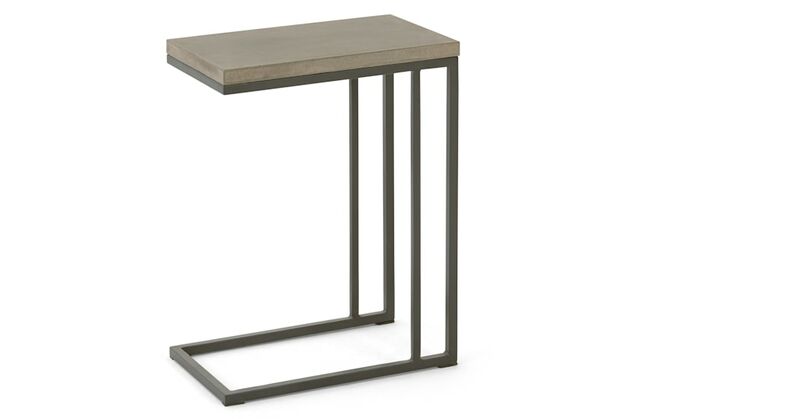 This side table's industrial design – and daring mix of concrete and metal – proves your outside space can have just as much style as your indoor space.